Anyone can grab a pair of pruning shears and start cutting branches. But without the proper training, how do you know that you're not doing unnecessary damage to your plant? In addition, where should you actually make your pruning cuts? In our DIY Garden Minute Ep. 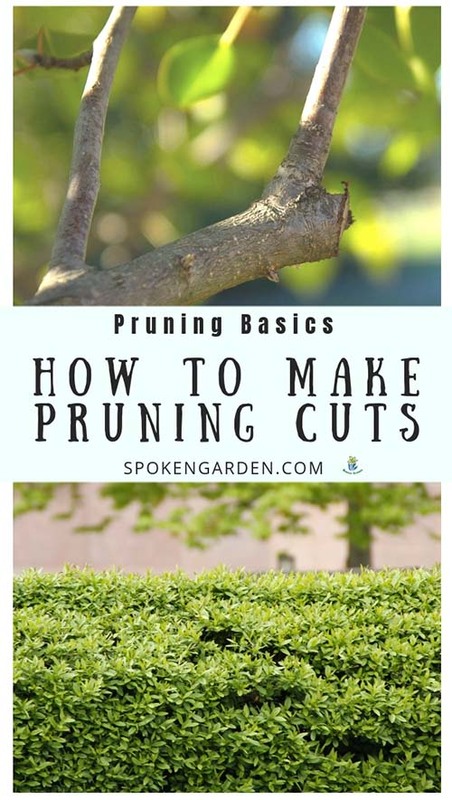 55 - "Pruning Basics: Where to Make Your Pruning Cuts," we'll discuss where you should make your pruning cuts. Two of the most important types of pruning cuts are thinning cuts and heading cuts. When you selectively cut single limbs or stems off a plant all the way back to its point of attachment, this is a "thinning" cut. When you selectively cut limbs or stems not at their point of attachment nor near other growth points, this is a "heading" cut. 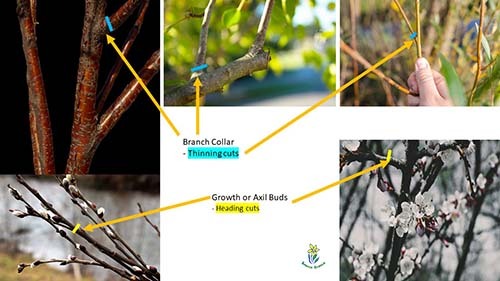 For more information on each type of cut, check out our previous podcast Pruning Basics: Thinning Cuts vs. Heading Cuts - DIY Garden Minute Ep. 51. Thinning and heading cuts are both examples of types of pruning cuts you need to learn. Today's topic: "Pruning Basics: Where to Make Your Pruning Cuts"
On this episode, learn where you should make your cuts and why. A branch or stem collar - cut just above collar, so you don't leave a stub. Growth or axil buds - cut about 1/2 inch above bud or "smiley-face". You can also learn more about pruning by listening to our DIY Garden Minute Ep. 10 about our 3-Pillars of Pruning. Learn where to make your pruning cuts on your trees, shrubs, and plants! Where specifically to make your heading cuts and thinning cuts. Explanations of why to make cuts in each way.